Where once they lived secure, they are now guests. The woolly sheep, the yarrow blooms instead. Who tilled these fields; who held these acres dear. Wan in the day-sky, peers a phantom moon. We are swallowed by the dark. Confused and fearful, hearing our foundations crumble. Sufficient, in itself, to make us men. Winona M. Gilliland wrote "Tears for My Country" on the eve of World War II. It was published in The American Mercury in July 1938, just two months before Czechoslovakia capitulated to the Nazis. That was seventy-five years ago, yet this poem could easily have been written today. This cover, from November 1941, came three years after Winona Montgomery Gilliland's "Tears for My Country," yet it illustrates the mood of impending war in her poem. The artist was Hannes Bok. Alphonse Louis Constant had been gone nearly half a century by the time Weird Tales printed his article "Black Magic" in the magazine's first year in publication. Born on February 8, 1810, in Paris, Constant studied for the priesthood but left the seminary before being ordained a priest. The reason? Cherchez la femme as the French say. Constant became a writer and associated himself with various names, including the socialist and feminist Flora Tristan, fellow mystic M. Ganneau, "messianic mathematician" Jozef Maria Hoëhne-Wronski, British novelist Edward Bulwer-Lytton, and French sculptress Marie-Noémi Cadiot (1832-1888), whom he married in 1846. (1) Constant was a mystic and a magician, evidently one of the most important names in that realm of knowledge. According to Wikipedia, he incorporated the Tarot into contemporary practice and was a great influence on other mystics and magicians of his time and after, including Aleister Crowley (1875-1947). (2) Constant was also the originator of a famous "Sabbatic Goat" image and of the idea that a pentagram pointing upwards represents good, while one pointing downwards (approximating the countenance of a goat) represents evil. He wrote under the pseudonyms Eliphas Lévi Zahed and Eliphas Lévi and died on May 31, 1875, in Paris. (1) M. Ganneau was the inventor of the religion Evadaïsme, "a compound of all the dogmas, doctrines and philosophies that have divided mankind," of which he was "the Mapah," a title combining "mama" and "papa" and a reference to our "first parents," Eve and Adam. The quotes are from The Living Age, Volume 29, on the occasion of Ganneau's death. (2) Crowley, born less than five months after Constant's death, considered himself a reincarnation of the great magician. Villiers de l'Isle-Adam was not in fact published in Weird Tales but in an offspring of "The Unique Magazine," Robert W. Lowndes' Magazine of Horror from the 1960s. Born on November 7, 1838, in the city of Saint-Brieuc, Villiers seems to have been a man ill-suited to life's demands. Unlucky in love, frequently impoverished, and not often successful as a writer, he nonetheless gave us two terms still in use today. One of them has become indispensable in science fiction and in fact. Under the influence of Charles Baudelaire and Edgar Allan Poe, Villers wrote tales of fantasy, mystery, horror, torture, and cruelty. (3) In his novel L'Ève future (translated by Wikipedia as Tomorrow's Eve, 1886), Villiers employed the term android (which had been in use since at least the 18th century) in its more modern sense, meaning a robot in human form. George Lucas and hundreds of other science fiction writers owe Villiers a debt for that. Villiers is most well known for his collection of short stories from 1883, Conte Cruels. 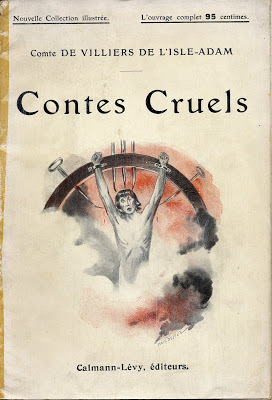 The conte cruel has become a subgenre or a type of fiction, a short story (conte) in which characters are subjected to cruelty, torment, and torture, not because they deserve it but simply because--I suppose--life itself is full of cruel vicissitudes. I can imagine that Villiers sometimes felt himself to be such a character. I looked in several books on literature and fantastic fiction for a definition of the conte cruel and came up empty. Barbara, a contributor to Google Groups, admirably answers the question "What is the definition of conte cruel?" at this link. She attributes the origin of the term to Villiers' collection of the same name. She also mentions Villiers' story "The Torture by Hope," which by no coincidence appeared in Magazine of Horror #10 (Aug. 1965). Barbara also mentions Ambrose Bierce and W.C. Morrow as authors of contes cruels. The digest-sized Magazine of Horror was not Weird Tales of course, but I'm not sure there was any closer imitator between the end of the original Weird Tales in 1954 and the revival of Weird Tales in 1973-1974. That title is subject for an article of another time. (3) Villiers is supposed to have been an admirer of Constant's Dogme et rituel de la haute magie (1856). Villiers' other associations: He was friends with Stéphane Mallarmé; he asked Théophile Gautier for his daughter's hand in marriage (and was rebuffed); his hero was Richard Wagner, with whom he was visiting when war broke out between their two nations in 1870. 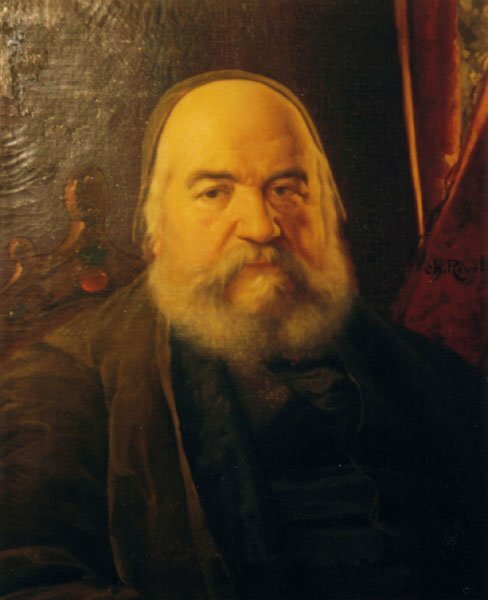 Alphonse Louis Constant (1810-1875) aka Eliphas Lévi, a portrait from 1874. Eliphas Lévi's Bephomet, an image of the Sabbatic Goat. I don't know enough about magic to say anything more. Note the name at the bottom, cut off in this image. Villiers de L'Isle-Adam did not contribute to Weird Tales, but he was responsible for the conte cruel, a kind of story named for his collection of short stories from 1883. Here is the cover for one edition of Contes Cruels. The image is disturbing, mostly because it looks like it could have been drawn from life. 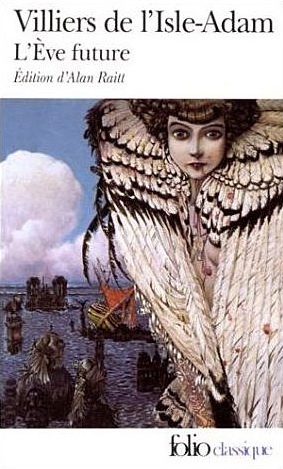 The image on this cover of a different edition is pretty tame by comparison. The man is being tortured, but he doesn't seem to be suffering much. Take away the bindings and it looks like he could be in a steam bath. 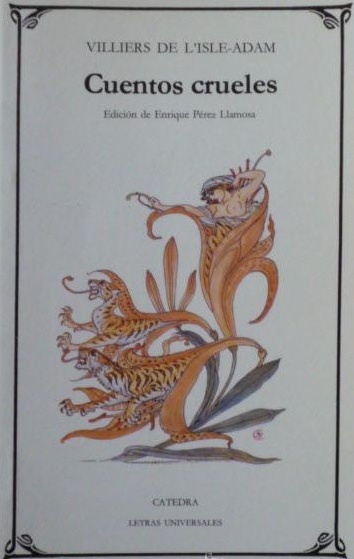 The image on this cover of a Spanish-language edition of Conte Cruels (Cuentos crueles) is even more inviting. Are those tiger lilies? Villiers was the author of at least fifteen books. 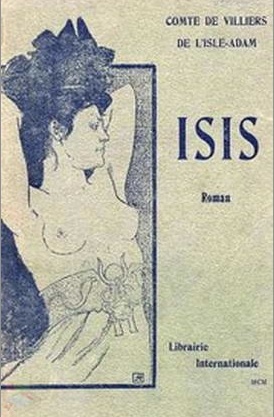 Isis is an incomplete novel (more accurately, romance) from 1862. In L'Ève future (1886), Villiers wrote of an android named Hadaly--invented by a fictional Thomas Alva Edison! It's from this book that we have our contemporary usage of the word android. 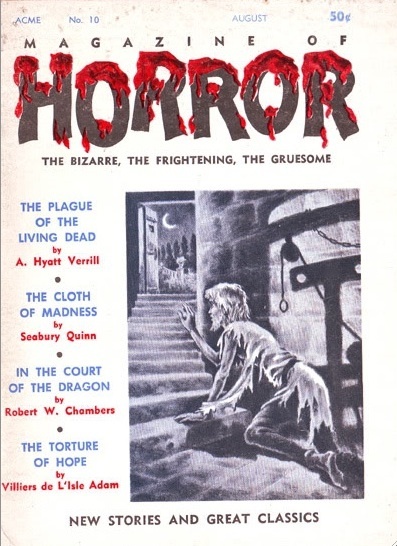 "The Torture of Hope," one of Villiers' contes cruels, was reprinted as the cover story in Magazine of Horror in August 1965. 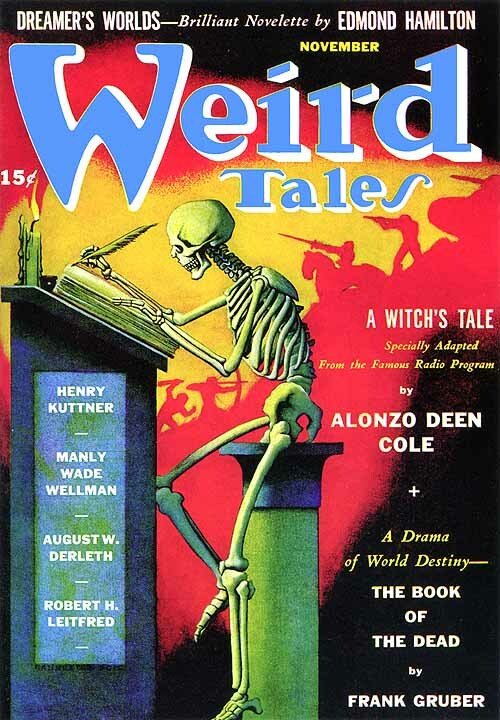 The cover artist was Carl Kidwell, who also contributed to Weird Tales. As I indicated in my post from yesterday, a lot of the information on Jim Kjelgaard found on the Internet is incomplete and inaccurate. Here's a good example: Jim Kjelgaard's sister, Betty Kjelgaard, was also a successful writer. Doesn't Betty Kjelgaard figure somewhere in her brother's biography? Shouldn't you be able to find something on her somewhere on the Internet? Not yet I suppose. I'll begin to correct that oversight here. Betty M. Kjelgaard was born on September 1, 1916, in Pennsylvania, the youngest of six children (I believe). Like her older brother, she wrote stories and published her first before age thirty. They were romances mostly and stories for women and young people, who were then beginning to be called "teenagers." Between 1945 and 1966 (according to what I could find), Betty had her work printed in women's magazines (Family Circle, McCall's, Redbook, Woman's Day, Woman's Home Companion) and This Week, a syndicated magazine section for the nation's Sunday papers. Her stories also found their way into two books: Teen-Age Companion (1946), edited by Frank Owen, and Hit Parade of Short Stories (Scholastic, 1964). 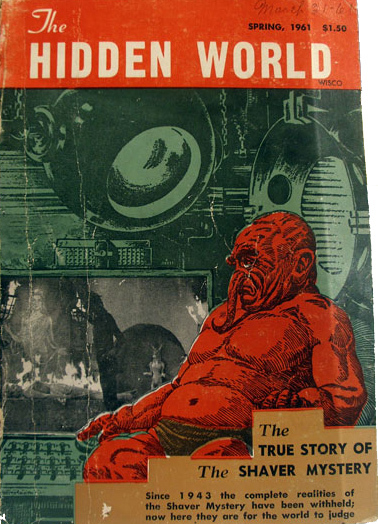 Frank Owen (1893-1968) by the way was a contributor to Weird Tales. He also edited Teen-Age Mystery Stories from 1948. Betty Kjelgaard had the distinction of having one of her stories, "The End of Night," adapted to television. Frederic Brady wrote the teleplay for a performance on Chevron Hall of Stars in 1956. The last credit I could find for her is an article in Ford Times called "The Lure of the Catskills," from September 1968. Betty Kjelgaard died in 1977 according to an uncorroborated source on the Internet. 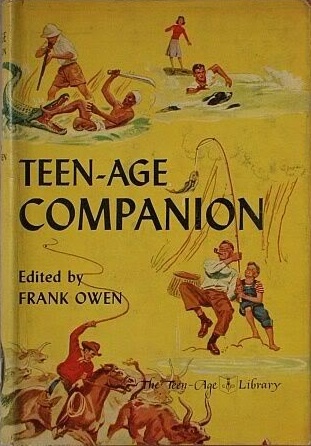 Teen-Age Companion was aimed at that new creature, the teenager, in 1946. One of the stories inside is by Betty Kjelgaard. 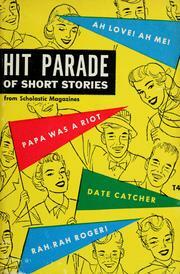 Another Betty Kjelgaard story appeared in Hit Parade of Short Stories in 1964. Betty Kjelgaard's fiction was mostly for women's magazines, as in this issue of Woman's Day from September 1966. 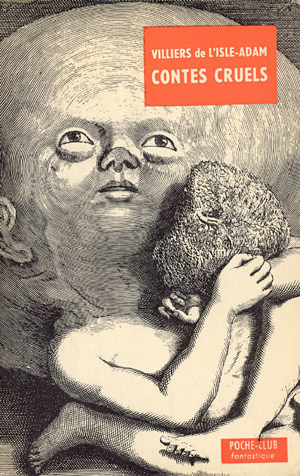 The illustration is by Andy Virgil. Collectors of Volkswagen art would have been pleased. This is for Bette, a driver of a Volkswagen. 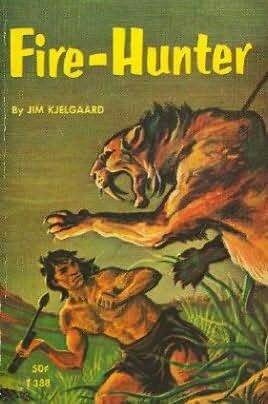 Jim Kjelgaard was one of the most famous of the non-fantasy writers to contribute to Weird Tales magazine. (1) His book Big Red, from 1945, sold more than 200,000 copies in its first decade in print and was made into a Disney movie in 1962. (2) Sadly, Kjelgaard did not live to see his canine creation on film. James Arthur Kjelgaard was born on December 6, 1910, in New York City but moved with his family to Tioga County, later to Galeton, Pennsylvania, when he was a child. His father was a doctor, a farmer on about 750 acres, and the head of a large brood of Kjelgaard children. Jim and his siblings lived a vigorous life, farming, raising cattle, trapping, fishing, hunting, and hiking in the fields and woods of the Allegheny Mountains. 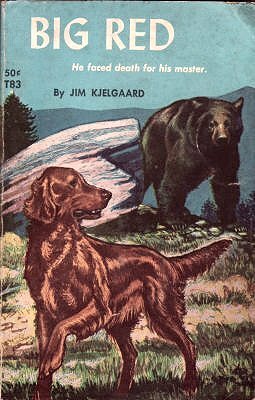 Kjelgaard came to love dogs, wild animals, and the great outdoors. He would one day write about all of those things in his many books and stories. Kjelgaard began writing and submitting stories to outdoor magazines while he was still in high school. He sold his first when he was a senior, earning a two-year subscription to the magazine as payment. When his story won a spot on the cover of the magazine, Kjelgaard remembered, "I felt like a combination of Shakespeare, Zane Grey, and Ralph Waldo Emerson." Kjelgaard graduated from Galeton High School in 1928 and at various times worked as a "laborer, teamster, factory worker, plumber's apprentice, [and] surveyor's assistant" (3). He also worked as an outdoor guide and as a forest ranger in Cross Fork, Pennsylvania. Kjelgaard began selling stories to Argosy, Fur-Fish-Game, Collier's, and other magazines in the 1930s. (4) Those stories caught the eye of Eddie Dresen, a member of a writer's group in Milwaukee, Wisconsin, who began corresponding with him. "Eddie" turned out to be a she--Edna Dresen. They met in 1939 and were married soon after. Mr. and Mrs. Kjelgaard lived in Milwaukee and Thiensville, Wisconsin, throughout the 1940s and early '50s as Kjelgaard's writing career took off. His first book was Forest Patrol (1941). His third book, Big Red (1945), was his big seller. More than forty more books followed, some of them published posthumously. They included two sequels to Big Red as well as many other books about dogs and other animals. 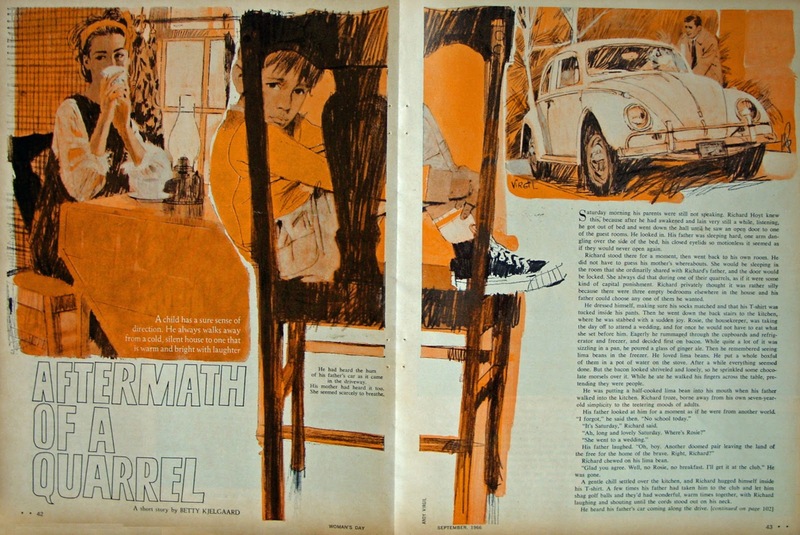 Kjelgaard authored scores of stories for pulp and slick magazines, and for western, adventure, and outdoor magazines. His stories for Weird Tales were four in number. All date from 1945 and 1946. Kjelgaard traveled widely in the United States, Canada, and Mexico to do research. He and his wife settled in the Southwest, in Phoenix, in 1955. That may have been in part because he suffered from severe arthritis. His health continued to fail. Late in life he hardly left the house. Still, he managed to write eight books in one year, a heroic feat that reminds me of Ulysses Grant's final days. "For twenty years," his wife wrote, "Jim Kjelgaard suffered agonizing pain and rose above it. He was the grandest, bravest person we ever knew." A brain tumor threatened to strike him down. Instead Jim Kjelgaard took his own life on July 12, 1959, at his home in Phoenix. His body was returned to Wisconsin for burial. (1) Tennessee Williams is another in that category. (2) Big Red movie starred Walter Pidgeon, who had by 1962 also starred in a classic science fiction movie, Forbidden Planet (1956). (3) Kjelgaard's own words, from The Junior Book of Authors. (4) The first credit I have found is from Fur-Fish-Game for January 1934. 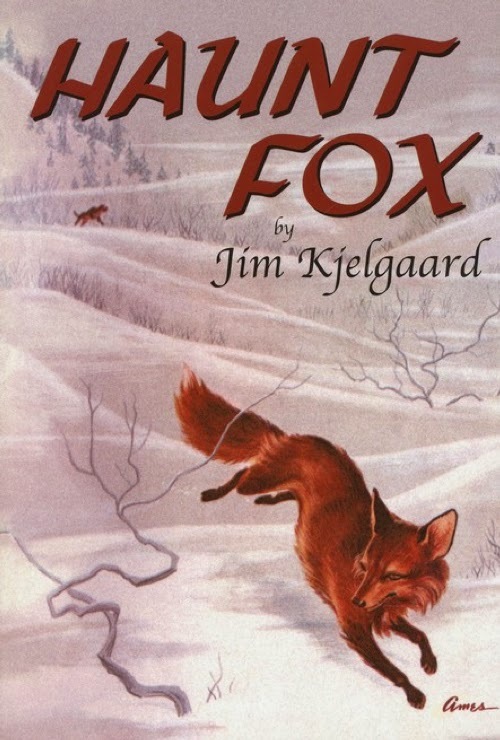 Despite his place of prominence in literature for children, Jim Kjelgaard has never been--as far as I can tell--the subject of a book-length biography. The Internet has hardly been less neglectful of him, perpetuating--as it does so often--inaccurate information. If you would like to read about Jim Kjelgaard in his own words, see the entry on him in The Junior Book of Authors. Jim Kjelgaard wrote pulp fiction, but he will forever be known as the author of Big Red, published in 1945 and adapted to the silver screen by Walt Disney productions in 1962. Kjelgaard also wrote adventure stories, stories of the outdoors, stories of hunting, fishing, and the wilderness. 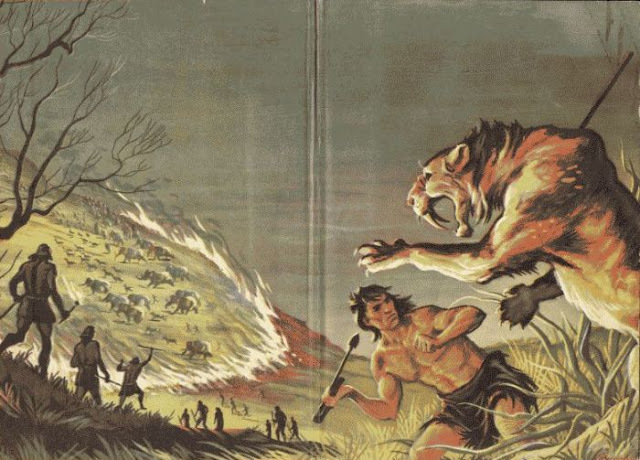 Fire-Hunter (1951) is only one of his more than forty books. I have chosen this cover because it could so easily have adorned a pulp magazine of the 1930s or '40s. The illustrator was Ralph Ray. As you can tell, this is a Scholastic edition. Here are the end pieces for the original hardbound printing. This is an example of why people collect books. Above: Haunt Fox by Jim Kjelgaard from 1954. The credited interior artist is Glen Rounds, but the cover is clearly signed "Ames." 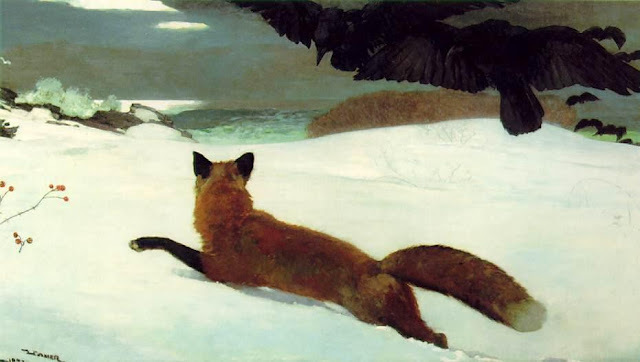 Below: The title and the scene on the cover of Haunt Fox remind me of this painting by Winslow Homer, "The Fox Hunt," from 1893. Like Kjelgaard, Homer was an Easterner drawn to the outdoors and scenes of action and peril, work and play, and above all, adventure. A certain greasiness about the fellow increased my dislike. He was evidently given to working or lounging around the fish docks, and carried with him much of their characteristic smell. Just what foreign blood was in him I could not even guess. That passage is from the second section of the story and describes the narrator's driver. Lovecraft's reflexive nativism rears its ugly head in this passage as well. 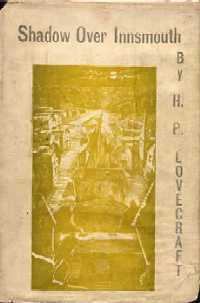 "The Shadow Over Innsmouth" was composed in 1931, printed in 1936, and abridged and reprinted in Weird Tales in January 1942. As I write this, I am listening to an audio recording of Long John Nebel's radio show from 1956. The topic is The Shaver Mystery and the guests (by telephone from Amherst, Wisconsin) are Richard Shaver and Raymond A. Palmer. It's fascinating to hear these voices from the past, to hear Palmer speak of a conversation with Harlan Ellison, of his editorship of Amazing Stories, and of The Shaver Mystery in general. Long John Nebel and a guest are interviewing the two men. Long John asks Richard Shaver about the supposed existence of elevators in apartment buildings in three American cities. By entering these elevators alone and pressing B for basement, and then upon reaching the basement, by pressing B twice more, a person can supposedly enter the subterranean world of the Deros. Long John asks Richard Shaver if this is true. Shaver replies that he "would say that it was true"--not exactly the unequivocal answer Long John had hoped to hear, I'm sure. The three cities that offer access to the underworld are New York, Chicago, and Providence, Rhode Island, home of H.P. Lovecraft. I wonder if Lovecraft would have known the location of the apartment building in his city that would allow him access to Dero-land. Long John Nebel's guest interviewer also asks Raymond Palmer about Edward Bulwer-Lytton's novel The Coming Race (1871) as a possible precursor to Shaver's stories. Palmer answers by mentioning a number of other possible precursors, not as fictional sources but as fact-based tales that--in his mind--help confirm rather than bring into question the veracity of The Shaver Mystery. It's an old tactic I guess: A previous version of your story isn't evidence that you have swiped your story from someone else, but that you have actually stumbled upon something real and important, just as people before you did--that you have uncovered the true history of earth and the human race. 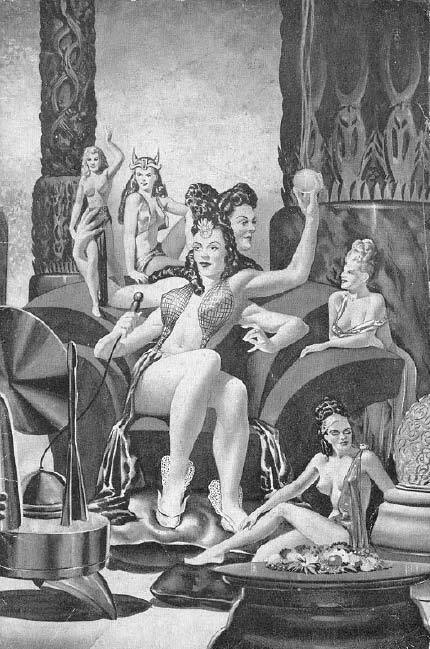 Other tellers of weird tales were connected in one way or another to Raymond A. Palmer, his two science fiction magazine titles of the 1940s, and The Shaver Mystery. They include Wilma Dorothy Vermilyea and Vincent H. Gaddis. By the way, be sure to listen for Gray Barker's voice at the end of the audio. The Shaver Mystery was a creature of the 1940s, a kind of dry run for The Flying Saucer Mystery of 1947 and beyond. At its height of popularity in the late 1940s, The Shaver Mystery sold magazines by the truckload and even spawned its own fan activity. Here's the cover of a fan magazine, The Shaver Mystery Magazine #1, from 1947 with art by an unknown artist, although it looks like it could be the work of Alex Schomburg or Steele Savage. And here is Shaver's devil, a Dero, evidently watching his favorite television show on the front of The Hidden World from Spring 1961. Yes, even at that late date there were people still reading about The Shaver Mystery. Again the artist is unknown.